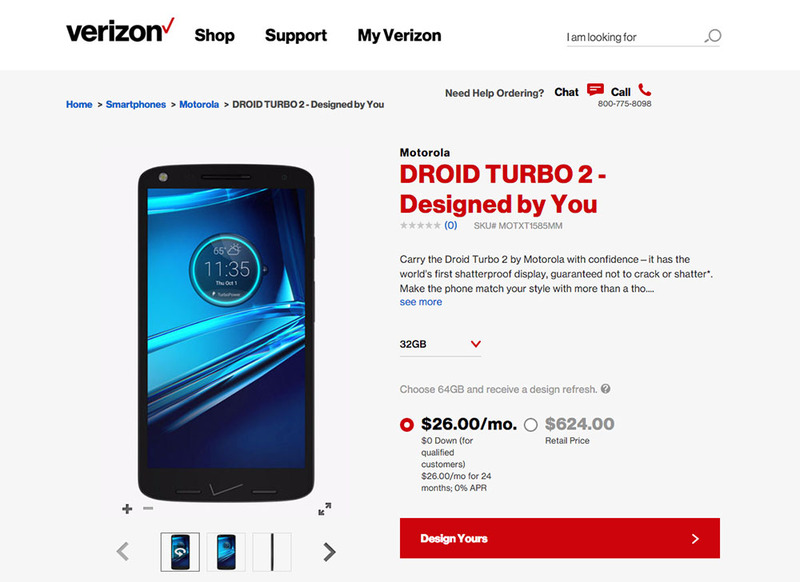 It’s so rare these days that companies announce new phones and then make them available days later, but Verizon and Motorola have done that with the new DROID Turbo 2 and DROID MAXX 2. Both phones became official on Tuesday, and both phones are now available for purchase. The Turbo 2 is the flagship here and probably the phone you should consider if you consider yourself a smartphone heavy lifter. It features a shatterproof 5.4-inch QHD AMOLED display, 3GB RAM, Qualcomm’s most powerful processor, 21MP camera, plenty of storage, and can be customized to your liking through Motorola’s Moto Maker. It starts at $26 per month for 32GB of storage and jumps to $30 per month if you double the storage. Doubling the storage is probably what you should do if you go the Moto Maker route, because that allows you to refresh the design of the phone once within two years. In other words, you can get a new phone with new custom design once within two years of owning it. 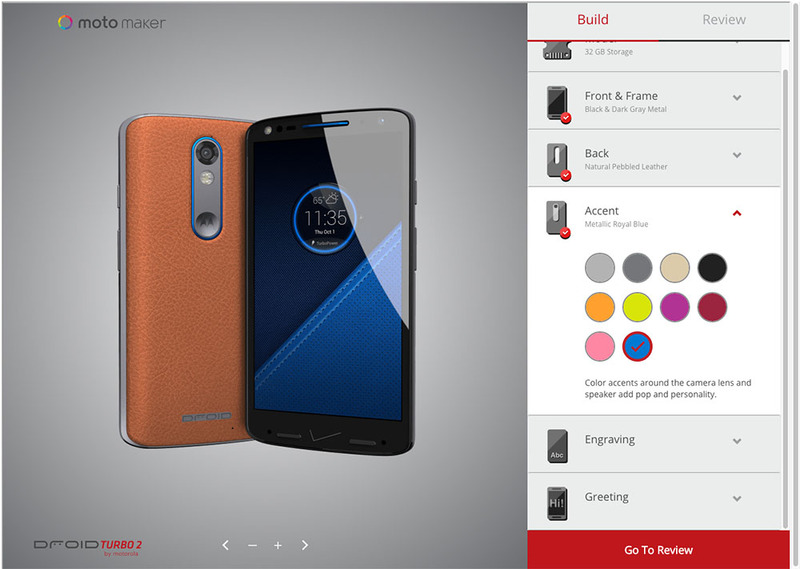 If you don’t go the Moto Maker route and want your phone now, Verizon has four pre-fab versions in various colors or textures. If the Turbo 2 isn’t your cup, consider the MAXX 2 as a budget-friendly, but still quite good, phone. It starts at just $16 per month ($384 at full retail), comes with a mega battery, a nice size, feels great in the hand, and should make you quite happy even if it isn’t a true flagship. We went hands-on with both the Turbo 2 and MAXX 2 earlier in the week, so be sure to check that out if you are at all interested in either phone.